Investors are always looking for yield and a way to protect their interest payments. But changing interest rates can get in the way sometimes. Whether you’re looking for income investments or just want a different bond allocation, floating rate bonds might be a worthy alternative in the right environment. Also known as variable or adjustable rate bonds, floating rate bonds have an interest rate that periodically changes with the market rate. This reset period can be daily, weekly, monthly, biannually, or annually. 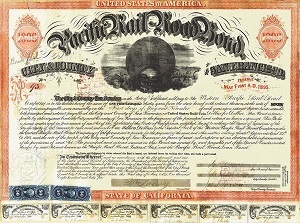 The bond’s interest rate is tied to a benchmark interest rate index like the LIBOR, the federal funds rate, or a specific duration U.S. Treasury bond yield (in the case of Treasury floating rate notes). When the reset period hits, the interest rate of the bond changes if the benchmark has changed. In turn the floating rate bond price doesn’t change much. There is a trade-off though. In exchange for the “floating” interest rate, investors must accept a lower interest rate when the bond is issued, than they would get with a fixed rate bond with a similar duration and risk. The simplified version works like this. A floating interest rate has two parts: one is a fixed rate known as the spread and the other is a variable rate based on the benchmark interest rate index. At a scheduled time, the floating rate is adjusted to the current interest rate index plus the spread. For example, if Company XYZ issues a floating rate bond at 5% (10 year Treasury yield + 4%) and adjusts every six months. In this case, the 10 year Treasury (at 1%) is the benchmark index with a 4% spread. When six months roll around one of three things can happen: either rates rise, rates fall, or it stays the same. Let’s say the 10 year Treasury yield rises to 1.5%. Add in the 4% spread and your bond now has a yield of 5.5%. But unlike a fixed rate bond’s price to yield relationship whose price falls when rates rise, the floating rate bond price remains the same since the yield changes with the benchmark. If you’re the bond owner, you’re protected from the rising rates and get the benefit from higher interest payments too. This is what you want if you like to make money. Unfortunately the opposite is also true. Instead, the 10 year Treasury falls to 0.5%. Add in the 4% spread and your bond now has a 4.5% yield. You lose out with a lower interest rate and lower payment. And you don’t get the benefit of a higher price like you would with a fixed rate bond. It’s a lose, lose situation and one worth avoiding when interest rates are falling. But this isn’t the only thing to watch out for. The iShares FLOT is by far the largest ETF. The expense ratios for all three are fairly low, ranging from 0.15% up to 0.20%. There are a few things to look at before investing though. You want to look into the credit rating of each bond fund as well as the average maturity of the underlying bonds. A longer average maturity generally means a higher risk. You’ll need to ask yourself if exchanging a lower current interest rate for the chance at higher interest rates in the future is a worthy trade-off for a short-term fixed rate bond or bond fund. In the wrong environment you could just end up with lower rates too.